Geno on the Rachael Ray Show | Geno’s Steaks | Philadelphia, Pa.
Geno Vento of Geno’s Steaks appeared on ABC’s “The Rachael Ray Show” Friday morning to teach the celebrity chef how to cook a true Philadelphia cheesesteak. 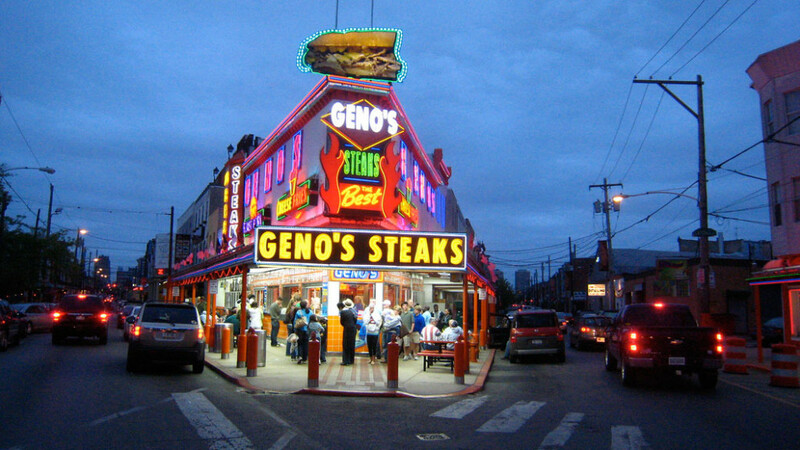 Geno showed Ray the ropes on how to make two versions of the sandwich – the Philly classic, with Cheese Whiz and fried onions as well as the “Milano,” which Vento described as an “old-fashioned pizza steak” with fried tomatoes and provolone cheese. Vento also talked about the steak shop’s 50th anniversary in October, where the South Philly staple celebrated with a block party and a $50,000 giveaway to local charities. Friday’s show also featured “Gilmore Girls” actor Scott Patterson as the main guest.